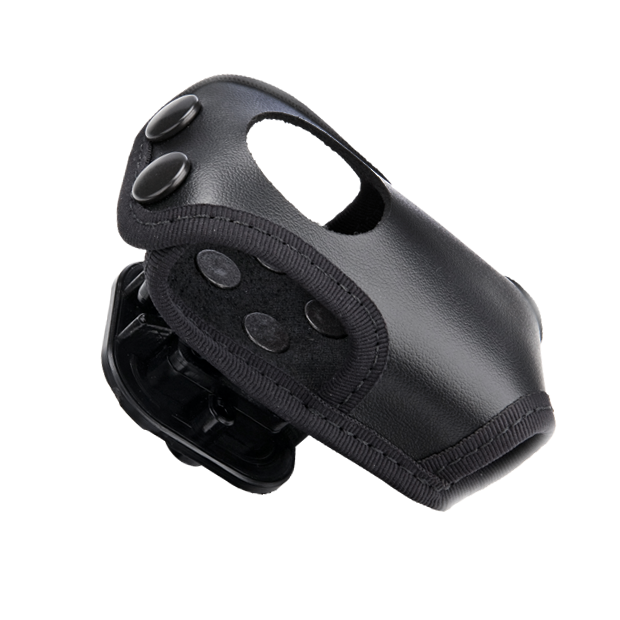 Muvi HD Klick Fast leather holder with swivel stud for security and police. Integrating the Peter Jones Klick Fast swivel stud, the Muvi HD can be securely fastened to any Klick Fast dock (sold separately). The innovative swivel mechanism allows the camcorder to be tilted and turned to achieve the perfect positioning. The leather case allows access to the main buttons on the camcorder, whilst keeping it protected and secure. Ideal for law enforcement, security, surveillance and POV Broadcast camcorders.